The original came out 2000 and was an instrumental track which later got a vocal-makeover by Pronti and Kalmani who had their studio next door to Solid Sessions. They used a russian vocalist on the version called Vera who also appears on Dash Berlins debut single Till The Sky Falls Down. Janeiro became a huge hit in 2002 after getting remixes from Armin, Kyau & Albert & Marc Et Claude just to name a few. When I listen to the track, it brings out a summery feeling of joy, a sandy beach and you can almost taste the saltiness of the water. IMHO this is one of trancemusics biggest anthems that most people out there have heard and danced to over the years. Solid Sessions didn’t really do that much after Janeiro but if we look at Pronti & Kalmani we will find much more interesting story. Pronti & Kalmani is actually producers Eelke Kalberg and Sebastiaan Molijn which are the men responsible for acts like Alice Deejay and Dash Berlin. The Dutch duo started releasing music back in 1998. The last years they have putting all their efforts in the group Dash Berlin which also consists of frontman and DJ Jeffrey Sutorius, who became famous back in 2007 when their big hit Till The Sky Falls Down, came out. Armin van Buuren featured it on his Universal Religion-album which became a huge success, even so huge that Armin decided to sign Dash Berlin to his Armada Music-label. The name Dash Berlin came from Jeffrey Sutorius after playing the huge Love Parade-festival, he decided to incorporate the word ‘Berlin’ in his artist name. ”It’s an ode to a metropolis and her engaging, urban landscape,” he said, ”Where I have seen more then a million people dancing on the streets, in the in the spirit of an ever-evolving Europe”. Their album ”The New Daylight” which came out in 2009, contained hits like Till The Sky Falls Down, Man On The Run, Never Cry Again and Waiting , all huge vocal-monsters. They also re-released Janeiro on the album, but now under the name Dash Berlin Feat. Solid Sessions. Since the release of The New Daylight, Eelke Kalberg and Sebastiaan Molijn have released the singles Disarm Yourself, Better Half Of Me and most recently World Falls Apart. Dash Berlin is currently touring North-America and is also scheduled to play ASOT 550 in Russia later this spring. News: Vote for Steve Sundheden! 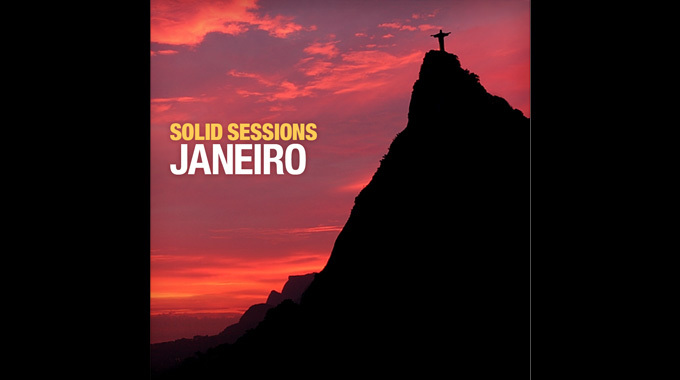 One Response to " Classic for the Weekend: Solid Sessions – Janeiro "